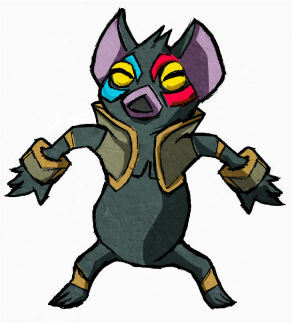 We have 10 new fan artwork images added to our image gallery for our Spirit Tracks Enemy Artwork Project. What I think is one of the better ones is shown just to the right and it is a picture of Fraaz, the boss from the Snow Temple. To view a larger version of the image, as well as the rest of the images, check them out below. If you are interested in contributing, check out our updated Spirit Tracks Enemy Artwork Project page for more information. Also, check out the image gallery where you can see all 36 artwork images and comment on them.